What is the Activities of Daily Living questionnaire? The Social Security Administration wants to know if your disability prevents you from working. In order to make this critical assessment that will significantly impact your Social Security disability eligibility, the Social Security Administration (SSA) may ask that you fill out an Activities of Daily Living Questionnaire. The purpose of the questionnaire is to better assess how your physical and mental impairments impact your daily life. 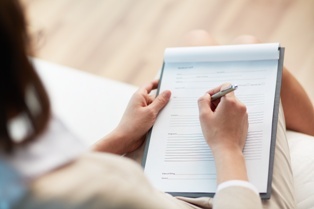 While your medical records allow the SSA to evaluate your medical diagnoses, this questionnaire allows them to assess how the diagnoses impact your life on a day-to-day basis. Your answers will help determine whether you have functional limitations that impact your ability to engage in substantial gainful activity. Learn more about substantial gainful activity in our other article. What Is Included in the Activities of Daily Living Questionnaire? The Activities of Daily Living Questionnaire is more formally known as Function Report – Adult – Form SSA-3373-BK. This form asks about your abilities and limitations in performing tasks such as caring for yourself and your household. Do you live alone or with other people? How does your disability limit your ability to work? What do you do on a typical day, starting from the time you wake up until the time you go to bed? Do you take care of other people—such as children, a spouse, parents, other relatives, or pets? What do you do for them? Do you have any help from anyone else? What were you able to do before you became disabled that you cannot do now? Does your disability affect your sleep? Does your disability affect your ability to get dressed, bathe yourself, shave, use the toilet, or otherwise take care of yourself? Do you need help or reminders to take medication? Are you able to do household chores? Are there any household chores that you need help with? Can you go out alone? Can you shop? Can you do it independently? Are you able to pay your own bills and manage your own money? Do you have hobbies, interests, and activities that you enjoy on a regular basis? Do you spend time with others? In what situations? Do you have trouble getting along with people? What abilities does your disability impact? Examples include lifting, walking, concentrating, using hands, talking, sitting, and other important abilities. How far can you walk before you need to rest? Can you follow verbal or written instructions? Do you get along with authority figures? Have you ever been fired because you had trouble getting along with others? How well do you handle stress and changes in routine? Do you use any assistive devices (such as hearing aids or crutches, for example)? Do you take any medications? What are the side effects of those medications? If you answer yes, or in such a way as to indicate that you are disabled, then you will be asked to further explain your limitations or condition in a short answer format. Additionally, there is space at the bottom of the questionnaire for you to add in information that was not included in the routine questions. Be honest. You do not want to exaggerate or understate your limitations and abilities. Give as many details as you can so that the person reading the questionnaire gets an accurate idea of what your life is like on a daily basis. Technically, this form is voluntary. However, if you fail to fill it out, then the SSA may not be able to find you eligible for Social Security disability benefits. While you are the one who must fill out the form, it should be done in consultation with your Social Security disability lawyer who can help you complete your entire Social Security disability application. For more information, or to get started with your own Social Security disability claim, please contact us today via this website or by phone to schedule your initial consultation. Additionally, we encourage you to download a FREE copy of our book, Unlocking the Mystery: The Essential Guide for Navigating the Social Security Disability Claims Process, to learn more today. I have severe osteoarthritis that is affecting my ability to work. Will I qualify for Social Security disability? Osteoarthritis, or degenerative arthritis, is a painful joint disorder that often occurs as people age and the cartilage that protects the bone begins to wear down. The symptoms of osteoarthritis will depend on which joints are affected. Osteoarthritis can cause stiffness in the joints that make it difficult to move and to work. Your condition is on the Social Security Administration’s List of Impairments. 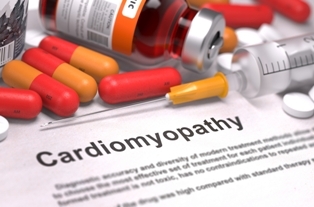 Your condition is severe and expected to last for 12 months or longer. You cannot work at your current job and if you are able to do any other work that you have done in the past. There is any other type of work that you can do, given your age, education, past experience, and physical limitations. Depending on your answers to these questions and the body part that is affected by osteoarthritis, you may be able to qualify for Social Security disability. Compression of the spinal nerve root that limits your ability to move your spine. A narrowing of the spinal canal in your lower back that makes it very difficult to walk. Inflammation of the arachnoid membrane that requires you to change position frequently. You will need medical evidence of your condition and treatment plan if you apply for benefits pursuant to this listing, any other listing, or if you apply based on the severity of your condition. If your osteoarthritis affects a body part other than your spine, then you might be able to qualify for disability benefits under the category of Major Dysfunction of a Joint (Listing of Impairments Section 1.02). To be approved for Social Security disability under this category, you must have an obvious joint deformity or bone destruction. 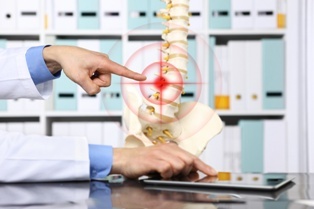 You must have a documented history of pain and stiffness in the joint, as well as lack of motion. The osteoarthritis must affect a hip, a knee, or an ankle joint, or a hand, a wrist, an elbow, or a shoulder in each arm, making it difficult for you to complete everyday tasks. If you do not meet the criteria for either of the blue book categories described above, you might still qualify for Social Security disability. You will need to prove that your osteoarthritis causes you to have reduced functional capacity that is equal in severity to one of the blue book standards and that makes you unable to work. The Social Security Administration will consider your physical limitations and determine the type of work you are capable of doing, if any. 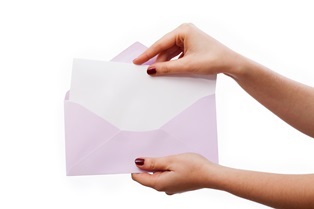 The majority of initial Social Security disability applications are denied. It is important to understand how you should apply, the documentation that you need to apply, and to submit your application correctly so that you can start getting the Social Security disability benefits that you deserve for osteoarthritis as soon as possible. To learn more about your rights, please request a FREE copy of our book, The 5 Most Frequently Asked Questions About Social Security Disability, today. Additionally, we invite you to contact us directly via this website or by phone to schedule an initial consultation with an experienced Social Security disability lawyer who can help you get the fair benefits that you have earned. What happens if I become disabled before I reach retirement age? 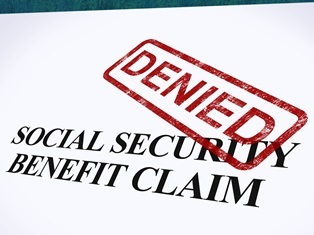 You are not yet eligible for Social Security retirement benefits; however, if you have worked long enough to qualify for Social Security disability benefits, then you may be able to recover such benefits if you qualify. In 2016, more than 8.8 million people received disability benefits from the Social Security Administration. Instead, you must apply for Social Security disability benefits. If your disability has lasted or will last for at least one year, your condition makes it impossible to do your job or another job, and you have worked at least five of the last ten years, then you may qualify for Social Security Disability Insurance (SSDI) benefits. The average benefit ranges from $1,100 to $1,200 per month. What Happens When You Reach Retirement Age? When you reach the age of full retirement, as defined by the Social Security Administration, then your benefits will be converted from disability benefits to retirement benefits. The age of full retirement depends on the year in which you were born. If you were born in 1937 or earlier, then your full retirement age is 65. If you were born in 1960 or later, then your age of full retirement is 67. 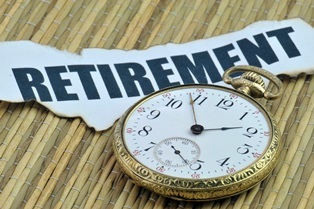 People born between 1937 and 1960 have full retirement dates between the ages of 65 and 67. You should not have to take any action to have your Social Security disability benefits converted to Social Security retirement benefits, and you should continue to receive monthly payments without interruption. However, you will have to take action to get your initial Social Security disability benefits. If you believe that you qualify for such benefits, then you will need to complete a Social Security disability application and you will need to have it approved. This can be a difficult and frustrating process, but you do not need to do it on your own. Instead, an experienced disability lawyer can help you through the application process and can help you get the benefits that you deserve. For more information, please download a free copy of our book, Unlocking the Mystery: The Essential Guide for Navigating the Social Security Disability Claims Process. What are the most common eye-related symptoms of sarcoidosis? 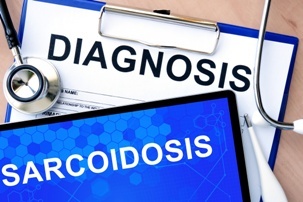 Sarcoidosis is a disorder that causes the growth of granulomas throughout the body. These clumps of cells may develop slowly over time, often producing no symptoms until the condition has progressed considerably. Depending on where the growths have formed, a patient can suffer symptoms in many different body systems—and over 25 percent of sarcoidosis patients experience symptoms that affect the eyes. In addition to fatigue, swollen lymph nodes, and weight loss, patients with sarcoidosis can also have trouble seeing and experience visual disturbances that can lead to blindness. It is vital for patients who have been diagnosed with sarcoidosis to undergo comprehensive eye examinations every year, and to report any vision changes to their doctors to begin treatment as soon as possible. Eye pain. Patients with sarcoidosis may have chronic eye problems, including burning, itching, stinging, redness, tearing, or severe dry eyes. 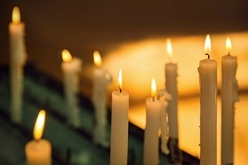 Light sensitivity is also common, causing pain in the eyes as well as chronic headaches. Patients who are experiencing these symptoms may get some relief through prescription eye drops, dilation of the pupils, or prescription eyewear. Doctors may also numb the eyes to reduce spasms in the pupillary muscles, or prescribe medications to lower blood pressure to relieve pain in the eyes. Uveitis. Inflammation of the uvea, or uveitis, in one of the most dangerous eye problems sarcoidosis can cause. The uvea sits between the sclera and the retina in the center of the eye. In patients with sarcoidosis, white blood cells may collect on the inside of the eye, causing the iris, lens, and other structures of the eye to stick together. This can cause a number of problems, including increased ocular pressure, pain, redness, extreme light sensitivity, and even blindness. The longer uveitis is left untreated, the more likely it is that the condition will cause vision problems. Treatments for uveitis are typically painless, and involve steroid drops, injections to relieve pressure, or oral medications to bring down the inflammation. Vision problems. Ocular sarcoidosis can cause a wide range of visual problems, such as blurred vision, floaters (small particles inside the eye that “float” in a person’s field of vision), color blindness, or even total loss of eyesight. Some sarcoidosis patients also have small yellow bumps on their eyes that cause visual distractions and eye irritation. These conditions may be reversible if treated quickly, so sarcoidosis patients should see a doctor immediately if they experience changes in their vision. The Social Security Administration (SSA) allows claimants to collect Social Security disability for sarcoidosis if they are no longer able to earn a living. Patients who have suffered total blindness will likely qualify for automatic benefits, but others may have to prove the extent of their conditions to the SSA before they can collect payment. If your sarcoidosis symptoms do not meet the Blue Book disability listing, you may still qualify for benefits based on your Residual Functional Capacity (RFC). One of the biggest benefits of getting disability based on RFC is that Social Security considers the full scope of your physical condition when assessing your work limitations. This means that a person who is experiencing symptoms of a variety of conditions and treatments could be considered disabled even if he or she does not meet the criteria for any disability listing by itself. 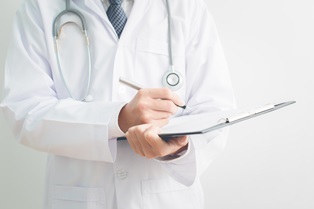 You will have to provide extensive medical proof of your diagnosis, symptoms, and treatment, as well as any work-related difficulties you are facing due to your disability. If you are unable to work due to the limitations of your sarcoidosis, we can help. Please fill out the form on this page today to speak to an attorney about your disability benefits, or download our free report, Five Most Frequently Asked Questions About Social Security Disability. Could I collect Social Security disability benefits for gestational diabetes? The health effects of diabetes can significantly impact a person’s ability to earn a living. Both type 1 and type 2 diabetes are recognized as potentially disabling conditions by the Social Security Administration (SSA), as the illnesses are likely to last for a person’s entire life. However, there is another form of diabetes that could qualify a woman for benefits: a serious condition called gestational diabetes. Gestational diabetes causes blood sugar imbalances due to insufficient insulin and hormonal changes during pregnancy. Women who suffer from gestational diabetes are more likely to have difficult pregnancies and experience birthing complications, and are likelier to develop type 2 diabetes in the years following pregnancy. Neuropathy. Diabetic neuropathy is a numbness, tingling, or burning in the extremities, usually the feet and toes. The SSA will consider a claimant disabled if neuropathy significantly affects the arms, the legs, or one arm and one leg to the extent that movement is impaired. 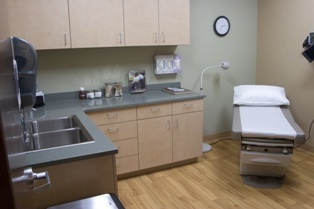 Patients can be considered “impaired” if they have trouble sitting, walking, standing, or changing positions. Acidosis. Diabetes can change the acidity of the blood, causing potentially fatal effects for the patient. Disabling acidosis must be documented by blood tests and occur at least once every two months. Retinopathy. Diabetes can damage blood vessels inside the eye, causing blurred vision or even blindness. Claimants must be suffering from a significant loss of vision (or loss of peripheral vision) in the better of their two eyes, with overall vision so impaired that the person is practically blind. What If I Do Not Meet the Blue Book Requirements? Many people who do not meet the listing for diabetes can still collect benefits if they are unable to work. Claimants must be able to demonstrate that gestational diabetes has a marked impact on their ability to earn a living, their independence, or their performance of daily life activities. Your medical records. Social Security disability benefits are often approved in the form of a medical vocational allowance. This means that you can be considered disabled if you are unable to return to your old job or perform any other kinds of sustainable work due to a condition or treatment of a condition. This approval is granted only after the SSA has reviewed your medical records to assess your limitations and ability to perform everyday activities and work tasks. Your specific symptoms. Treatment of gestational diabetes requires constant monitoring and maintaining blood sugar levels throughout the day. Patients may need to eat smaller meals more often, have special dietary requirements, need to inject insulin, have lifting restrictions, or need frequent breaks due to fatigue. 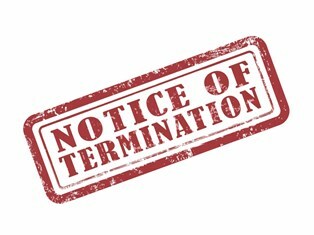 All of these may cause work disruptions or require the claimant to have accommodations in the workplace. Length of condition. While many women see the condition subside after the child is born, many suffer persistent effects of gestational diabetes for several weeks or even months. In addition, women who have been diagnosed with gestational diabetes usually suffer the condition in subsequent pregnancies. 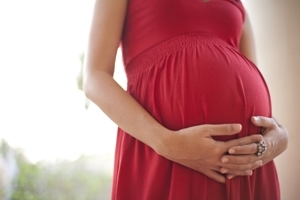 In some cases, women with gestational diabetes will remain diabetic after pregnancy is over. Residual functional capacity (RFC). The SSA will determine whether an applicant is able to reasonably perform work by assigning a residual functional capacity rating. The evaluation takes into account all of your limitations, as well as the type and exertion level of work you are capable of performing. If you are unable to work due to the limitations of your diabetes, we can help. Please feel free to contact our law firm today to get started on your disability application, or download our free report, Five Most Frequently Asked Questions about Social Security Disability. Why Am I At Risk of Developing PTSD If I Suffer a Head Injury? A traumatic brain injury (TBI) can greatly affect the way a person lives his or her life. The frustration as a victim struggles to recover adds overwhelming stress to his or her daily life, making a bad condition even worse. The stress of the injury can even cause victims to suffer post-traumatic stress disorder (PTSD), adding mental and emotional trauma to the physical head injury. One study at the VA San Diego Healthcare System followed over 1,600 Marine and Navy service members from Camp Pendleton in San Diego County. All of the service members were assessed by psychologists both before and after deployment to Iraq or Afghanistan. They found that troops who suffered traumatic brain injuries due to trauma and blast injuries were twice as likely to develop PTSD. Half of a battalion deployed to Helmand province in Afghanistan showed evidence of TBI and PTSD due to blast exposures. A coordinating experiment performed at the University of California Los Angeles compared healthy lab rats with rats that had suffered TBIs. When the rats were given behavioral conditioning to induce fear, the rats with TBIs showed greater fear responses than healthy rats. The UCLA researchers examined cells in the amygdala, a part of the rats’ brains that responds to sensory information and experiences emotions. The rats with TBI showed changes in these cells that amplified the brain’s response to situations involving fear. A brain study of 20,000 people has found a new way to separate diagnoses of TBI and PTSD. The patients were scanned with single-photon emission computer tomography (SPECT) to measure blood flow to different regions of the brain. While patients with TBI showed slowed activity in the areas of the brain that control mood and behavior, memory formation, and body movements. However, patients with PTSD showed increased activity in the regions involving recognition of threat and dangers, fear processing, and regulation of emotional responses. Computer-driven analysis of the brain scans allowed scientists to correctly diagnose PTSD, TBI, both or neither with 100% accuracy. It is vital that patients have a proper diagnosis of their conditions in order to treat their TBI or PTSD effectively. The treatment plan for PTSD can be vastly different than treatment for TBI, and the treatments can even be harmful for people with the other. For instance, people with PTSD are often prescribed tranquilizers and anti-anxiety medications that slow down activity in an overactive brain, something that can be dangerous for people suffering diminished brain activity due to TBI. Similarly, techniques used to stimulate a brain with TBI can cause a person with PTSD to become even more stressed and hyperactive. People with both conditions will need a delicate mix of therapies to ensure that both of their ailments are progressing in the right direction. If you have suffered a traumatic event that has left you unable to work, you may be able to get payment for your lost wages and medical treatment by filing for Social Security disability. Your benefits can support you as you undergo treatment for your condition, easing you slowly back into the workforce only after you are cleared to work by a medical professional. Please feel free to contact our law firm today to get started on your disability application, or download our free report, Five Most Frequently Asked Questions about Social Security Disability. Asthma is a serious disease that causes obstructed breathing. When a person with asthma suffers an “episode,” or an asthma attack, his airways constrict and become inflamed. This inflammation narrows the passageway, making it difficult to breathe. Depending on the severity of an attack, the victim is at risk for a variety of dangers, including mild to severe chest pains, breathing difficulties, hypoxia (lack of oxygen to the brain), blackouts, and even death. An asthma attack can be disruptive in the workplace. It may frighten customers and limit the ability of a worker to function. 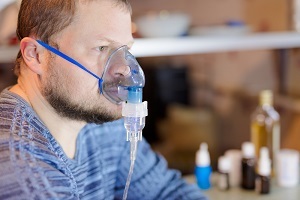 As a result of functional capacity limitations, the Social Security Administration (SSA) considers severe cases of asthma potentially disabling. In order to qualify for disability, your condition must affect your ability to work. If your condition physically prevents you from doing your job or places you at risk for suffering an attack, you may need to rely on disability benefits to support your family. However, it’s important to note that only severe cases are considered for approval. 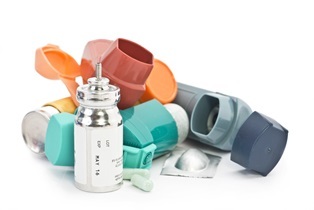 Occasional bouts of inflammation or minor attacks that can be controlled by using medication such as inhalers aren’t considered to limit functional capacity enough to warrant disability. Spirometry: the measure of how much air you take into the lungs with each breath. Peak flow: the measure of your ability to push air out of your lungs. ABG (arterial blood gas): the measure of carbon dioxide and its pressure within the blood. DLCO (diffusing capacity of the lungs for carbon monoxide): the measurements of the gas exchange (oxygen, carbon dioxide, and carbon monoxide) across cell membranes in your lungs. Pulse oximetry: the measure of oxygen saturation within the blood. If your test results fall within the SSA limitations for respiratory disability, your claim will be considered for approval. If your results don’t qualify under the limitations, you may still be eligible for benefits if you can convince the SSA that your condition significantly affects your functional capacity. A symptom journal. A detailed journal of your symptoms, including what you were doing when the attack occurred and what happened as a result of the episode, can help you and the SSA follow the deterioration of your condition. Rather than including a statement that you regularly experience attacks at work, your journal can recount the exact dates, frequency, and effects of those attacks. The SSA is more likely to understand your condition’s severity and need for disability if they can see it in black and white. Personal PEF records. If you’ve ever had to make a graph or grid, you know that one data point isn’t enough to show anything. However, if you routinely record your peak flow measurements over an extended period, you can use those data points to show the SSA how your breathing fluctuates. Again, the SSA is persuaded by data and evidence that they can see and analyze themselves. Including your records along with physician records can help them better relate to why you feel you can’t work. Do you have questions about applying for asthma-related disability? Request a complimentary copy of attorney John Keefe’s book, Unlocking the Mystery: The Essential Guide for Navigating the Social Security Disability Claims Process. For a more direct approach, contact our office directly at 508-283-5500 to schedule a one-on-one consultation to discuss your claim. The meeting is FREE, so you have nothing to lose. Should I Hire a Social Security Disability Attorney or an Advocate When Applying for Benefits? 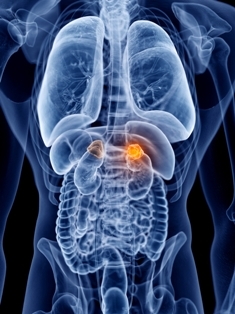 Does adrenal cancer qualify me for Social Security disability benefits? Cancer, or malignant neoplastic disease, is one of the 14 disability classifications that the Social Security Administration (SSA) acknowledges for benefit consideration. Depending on the type of cancer, as well as the severity and long-term diagnosis, sufferers may even warrant an expedited approval process—known as a compassionate allowance—to ensure benefits are awarded as quickly as possible. Adrenal cancer is one condition that the SSA not only considers viable for disability but, in many cases, also worthy of compassionate allowance. When tumors grow on these glands, they fail to secrete the adequate levels of hormones that your body needs to function. Over time, the fluctuation of hormones can cause serious and even fatal medical issues. In fact, localized adrenal cancer has a five-year fatality rate of 35 percent and regionalized disease has a five-year fatality rate of 56 percent. Distant adrenal cancer, where the cancer is inoperable and has spread to other sites, has an alarming mortality rate of 97 percent. All of the above symptoms, in addition to reactions to surgery and chemotherapy, can have a detrimental effect on your ability to work. Considering these effects, as well as the fatality risks involved with this disease, the SSA understands the rapid need for disability benefits when you become unable to provide for your family. However, understanding the need isn’t the same thing as granting benefits without any questions asked. To receive disability for adrenal cancer, you still must obey the rules and follow the procedures for filing a claim. Medical evidence and diagnoses. When collecting evidence for your claim, you must show your eligibility by providing pathology reports confirming the presence of cancer and your long-term prognosis. You may also want to secure a physician's opinion that indicates the cancer is inoperable or unable to be completely removed. Proof of severity and long-term prognosis. In addition to showing your condition, you must also be able to show its severity. To be eligible for an expedited review, you must be able to provide evidence that your condition is inoperable, unresectable, or recurrent, with metastases to or beyond the regional lymph nodes. A reliable attorney. Securing the guidance and support of a credible disability attorney is one of the best ways to ensure your claim is handled correctly. Furthermore, an attorney can help explain the process in detail so you’ll know what to expect from your claim. Contact our office today to speak with an experienced and highly dedicated disability attorney. It’s our job to help you get the disability you need—it’s our pleasure to do so while causing you the least amount of stress possible. Call 508-283-5500 to schedule your FREE consultation. How do I become a representative payee to help a loved one manage her SS disability benefits? The majority of people who receive Social Security (SS) disability benefits such as Supplemental Security Income (SSI) or Social Security Disability Insurance (SSDI) have payments made to them directly. However, if your loved one is a minor, has been declared legally incompetent, or has a history of drug and alcohol abuse, the Social Security Administration (SSA) may decide that a third party, known as a representative payee, should manage payments on behalf of your loved one. Becoming a representative payee is a simple, straightforward process, provided you're able to meet the SSA's stringent requirements. Who Can Be a Representative Payee? Most representative payees are a friend or family member of the beneficiary, but lawyers and other legal guardians can also apply to fill the role. The representative payee cannot have any felony convictions on his record, and the SSA gives preference to applicants who live with the beneficiary and are aware of their day-to-day needs. Spend the beneficiary's disability payments to provide for needs such as food, clothing, housing and utilities, medical expenses, and miscellaneous personal items. Use remaining funds to pay for things such as rehabilitative therapies, bills and other family expenses, and entertainment or education for the beneficiary. Save any leftover money in an interest-bearing bank account. Report the beneficiary's life changes to the SSA. These include marriage, medical changes, or death. Keep track of how all of the beneficiary's payments are spent and file an annual report with the SSA. To apply to become a representative payee, you must complete Form SSA-11, provide your Social Security Number for a background check, and be interviewed by someone with the SSA. Although the process of becoming a representative payee is fairly straightforward, it can be daunting for those who have no experience dealing with the SSA. A knowledgeable disability attorney can help you simplify the process by ensuring that you provide all of the information the SSA requires when you submit your initial application. Contact the seasoned disability attorneys with Keefe Disability Law to schedule a free initial consultation to discuss becoming a representative payee.